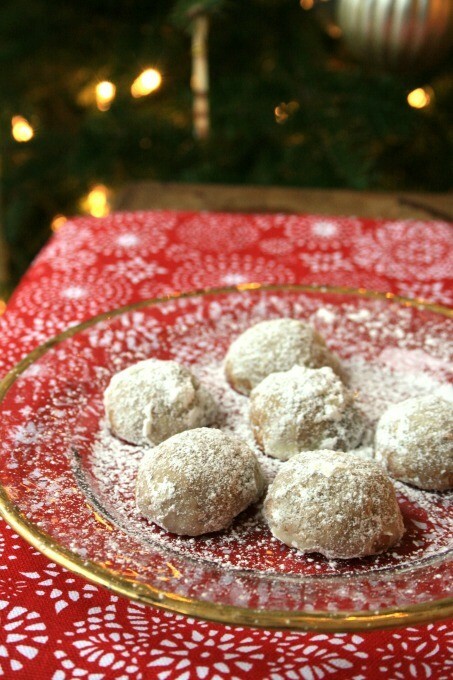 Molasses Walnut Cookies are a buttery shortbread-style cookie loaded with ground nuts and coated in powdery white icing sugar. 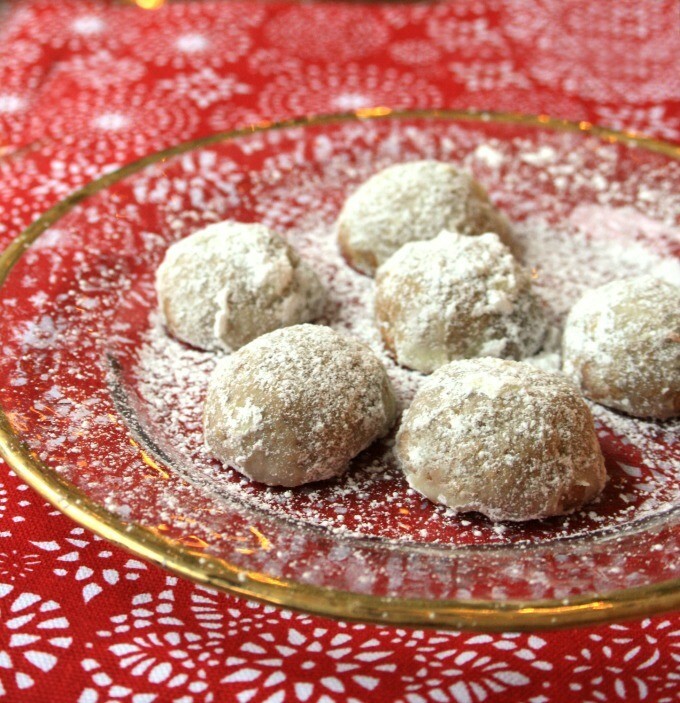 These cookies go by all sorts of names but they’re all the same buttery shortbread-style cookie loaded with ground nuts and coated in powdery white icing sugar. They’re a festive cookie if there ever was one, with their snowy coat. This version swaps out the pecans for walnuts and replaces the corn syrup with molasses, and the flavours meld so beautifully that you’d think this was a holiday classic. And maybe it is. The version of this cookie I grew up with were my mom’s hazelnut crescents. Even as a youngster they were the first I chose off the cookie plate and any leftovers in the freezer after the holidays were reserved for me and me alone. Variety on your holiday cookie plate is a wonderful thing and these cookies are guaranteed to offer that. Dense with nuts they have a satisfying substance tucked into that buttery crumb. The recipe offers endless variations. 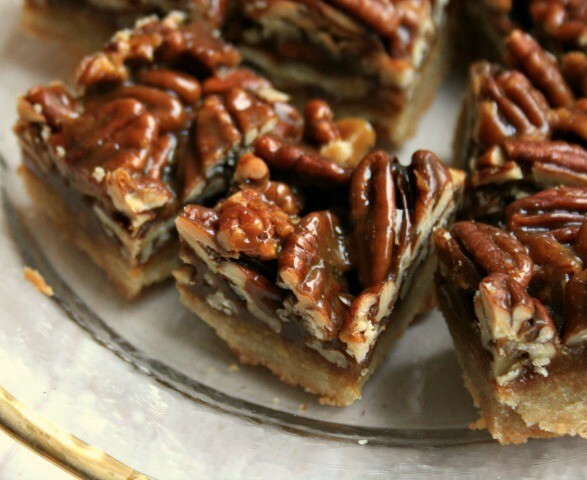 Try it with ground pecans or hazelnuts instead of walnuts. Add the zest of half an orange or double up on the spices. Beat butter until creamy then beat in molasses and vanilla. Stir spices into flour and add in three additions. Stir in ground walnuts. Scrape dough into a ball, press into a disk and refrigerate for an hour. 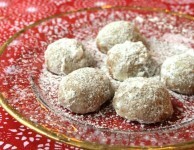 Roll dough into 1” balls and place on a parchment lined baking sheet about 1 ½” apart. When cool roll in icing sugar. Or roll when warm and dust again with sugar when cooled. Very nice and I look forward to trying many more of your recipes. 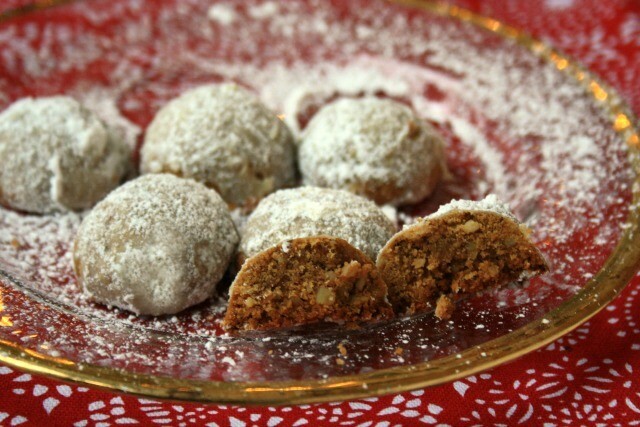 Just saw the molasses walnut cookies I will bake them today.They look good. 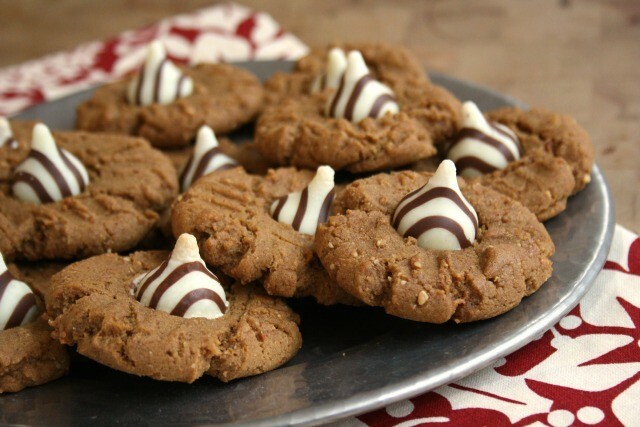 I tried these for the first time “Melt in your mouth Molasses Walnut Cookies” and they are now my favorites. So tender and tasty they just melt in your mouth. I will make these year round I just love them! Thank you Crosby’s for sharing all those wonderful recipes and by the way I love your molasses. Hi Francine, Thanks so much for taking the time to send your thoughts on the recipe. They’re a new favourite of mine too. I would like a recipe for large molasses drop cookies . Thank you Bridget I just found this I will try them plus I downloaded the Crosby’s Recipe Book. Nancy, I hope you have had a chance to try the cookies as well as some new molasses recipes.